In Lock v Aylesbury Vale District Council  EWHC 2015 (Ch) HHJ Hodge QC (sitting as a High Court judge) allowed an appeal against the granting of a bankruptcy petition. Essentially the petition should have not have been granted because the proposed bankrupt had nothing. The court does not make orders that serve no useful purpose. The case also shows some of the difficulties the court’s face when dealing with litigant’s in person. The appellant had one good point, well hidden amongst many pages of material. The appellant, had been made subject to a bankruptcy order. She appealed on the order on the grounds that she had no assets and no income (apart from state benefits). The appeal was successful. The proper purpose of a bankruptcy order was recognised by Mr Registrar Jones at paragraph 14 of his judgment in Hemsley v Bance. 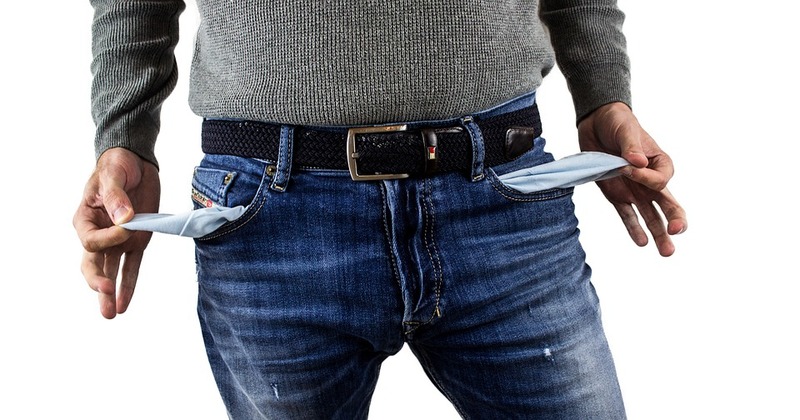 Bankruptcy provides a system of collective execution against a debtor’s property and ensures a fair distribution of assets amongst creditors, including the resolution of disputes, as economically as possible. In addition, it allows investigations into the bankrupt’s assets and affairs. Where appropriate, it provides or introduces measures to protect the public from future misconduct and/or to encourage others not to follow the same path. Its purpose is also to protect a bankrupt from harassment by creditors and to provide the opportunity for a fresh start. That is achieved by creditors being required to prove in the bankruptcy and by the debtor being released from his bankruptcy debts upon discharge, subject to the limitations prescribed by Parliament. I acknowledge that, on the authorities, a debtor bears a heavy burden in demonstrating that there are, and will be, no assets available for distribution by an official receiver or trustee in bankruptcy for the benefit of the bankrupt’s creditors, and also in demonstrating that no useful investigation of the bankrupt’s assets and affairs can be undertaken in the bankruptcy. The authorities make it clear that there is such a heavy burden on a bankrupt. In bankruptcy petitions of the present kind, however, founded upon unpaid council tax, it does seem to me that there is a burden upon a public authority, petitioning for a debtor’s bankruptcy, to at least raise a prima facie case that a bankruptcy order will achieve some useful purpose. That is recognised by the form of bankruptcy checklist that was used by the council in the present case. The bankruptcy petition itself said nothing about what purpose a bankruptcy order might achieve. That, I can understand. However, when Deputy District Judge Ahmed came to direct the filing of evidence by the petitioning creditor, and then the debtor, the petitioning creditor’s evidence did not address in any way the perceived benefits of a bankruptcy order, notwithstanding that the petitioning creditor’s own bankruptcy checklist had recognised that the case was an unusual one and that normally bankruptcy would not be an option as there were “no clear assets”. The reason why a statutory demand had been served, and a bankruptcy petition presented, was what was described as” the possibility” that the debtor might have received funds from an inheritance, although it was stressed that the petitioning creditor had no documents to support that, and that the matter would have to be investigated by any appointed trustee. It does seem to me that when Deputy District Judge Ahmed directed the petitioner to file and serve any evidence in support of the bankruptcy petition that that possibility should have been raised in the witness statement that was served by Mr Wright on behalf of the local authority. I can well understand why, this not having been raised, the matter was then not addressed in the detailed witness statement that the debtor put in in response. As Ms Myfanwy Lock submitted on behalf of her mother, she had never been directed to file any evidence of current or prospective assets and, in particular, had never had her attention drawn to the fact that the whole basis of the petitioning creditor’s thinking was that there was the possibility of an inheritance. Otherwise than that, it was quite clear that the appellant had nothing to put together to make any bankruptcy order of any real purpose. I well understand the view that, according to Mr Cockburn, Morgan J took that the district judge, before the bankruptcy petition came on for an effective hearing, should not simply have stopped at the point at which he found there to be a liability order, giving rise to jurisdiction to make a bankruptcy order, but should have gone on to have considered, in accordance with section 266(3) of the Act, whether it was appropriate to make a bankruptcy order. I can well understand that the district judge was highly critical of the appellant for having failed to comply, without apparent explanation or justification, with the requirement to have filed a skeleton argument in support of her case not less than seven days before the hearing of the bankruptcy petition. I can well understand how he was annoyed at the fact that a lengthy skeleton argument, extending to some 18 pages, had been prepared on 12 January 2017 but was not sent to the court or to the petitioning creditor until the morning of the hearing, where a day had been set aside for the hearing of the bankruptcy petition on an effective basis. I can also understand how the length of the skeleton argument must have daunted the district judge. It would have been very difficult for him to have attempted to see the wood for the trees; but, nevertheless, he should at least have skim-read the skeleton argument and identified one of the points that was made there, and made in a bold typed heading, which was whether a bankruptcy order would serve any purpose or benefit to the petitioning creditor. That is a matter that he should have considered, as Morgan J apparently recognised. It does seem to me that the bankruptcy order was unjust because the district judge did not consider whether any useful purpose would be served by making a bankruptcy order. In my judgment, he was wrong to make the bankruptcy order that he did. Although it may have got lost amongst the volume of evidence and submissions that were before the court, the reality was that there was no proper evidence before the court that there were any assets, whether present or prospective, which could be realised, or were likely to be realised, in any bankruptcy. There was nothing before the court to indicate that any investigation of the bankrupt’s affairs would bring anything more to light. The petitioning creditor had not expressly drawn the attention of the debtor to the belief that there might be the possibility of funds from an inheritance, and the debtor had had no opportunity to address that possibility in evidence. It does not seem to me that that unraised possibility justified the making of a bankruptcy order, in terms of giving rise to any need for an investigation of the bankrupt’s assets or affairs. Everything in evidence about the bankrupt and her financial affairs indicated that she was not worth powder or shot, and that a bankruptcy order would achieve no useful purpose. As a matter of good practice, it seems to me that if, as is entirely right, a local authority undertakes the sort of assessment that was undertaken here by way of a bankruptcy checklist, then the unusual circumstances justifying a bankruptcy petition should be put fairly and squarely before the court so that the respondent to the bankruptcy petition has the opportunity of addressing the point in evidence. For those reasons, it seems to me that, exercising the district judge’s discretion afresh, it would not be appropriate to uphold the bankruptcy order in the present case. In her further skeleton argument, the appellant indicates that she should have the opportunity of addressing the other grounds of appeal and pursuing the application for further evidence for the purposes of showing that the bankruptcy order was obtained by fraud. She invites the court to still proceed to consider, allow submissions on, and determine, the application for permission to appeal in respect of the other grounds of appeal and the related application for permission to adduce fresh evidence. She submits that if the petition were simply dismissed on the ground for which permission has presently been given, the appellant would be unfairly prejudiced by being deprived of the opportunity of pursuing the other grounds of appeal. I would not accede to that argument. It seems to me that if the court is to allow the appeal on the ground for which Morgan J has given permission already, which I have indicated that I am minded to do, then the appeal is allowed, the bankruptcy order is set aside, and it would not be appropriate to use the court’s scarce resources to pursue other matters which would be of entirely academic interest and of no materiality to the ultimate outcome of the appeal. That would not be consistent with the overriding objective. So, in summary, I allow the appeal on the short ground for which Morgan J gave permission on 19 April. I allow the appeal on that ground and hold that it is unnecessary to consider the other grounds of appeal or the application to adduce further evidence. I therefore allow the appeal and set the bankruptcy order aside.